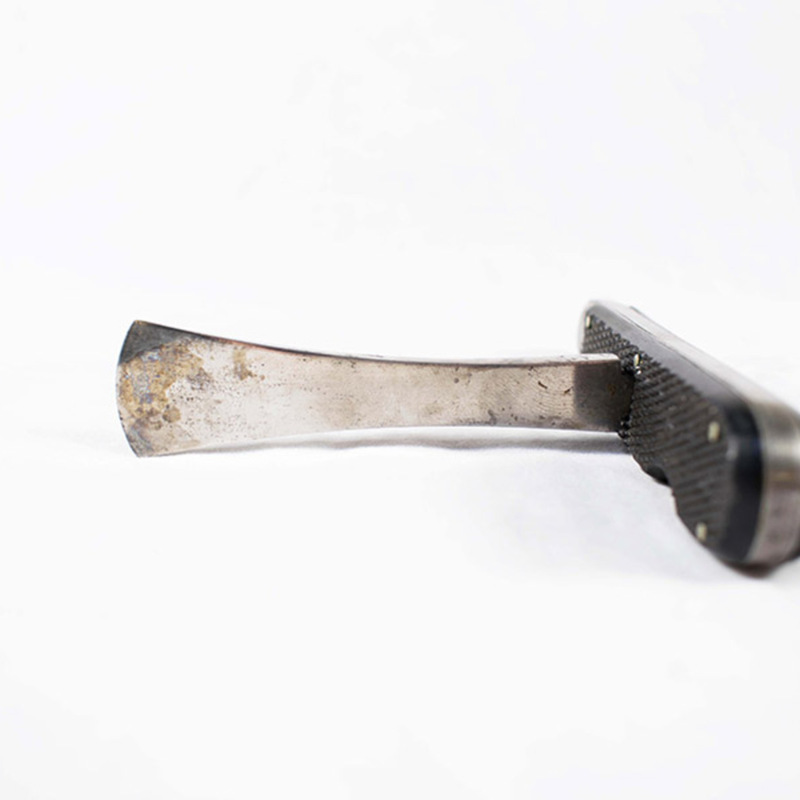 Steel item with slightly splayed, rounded cutting edge. 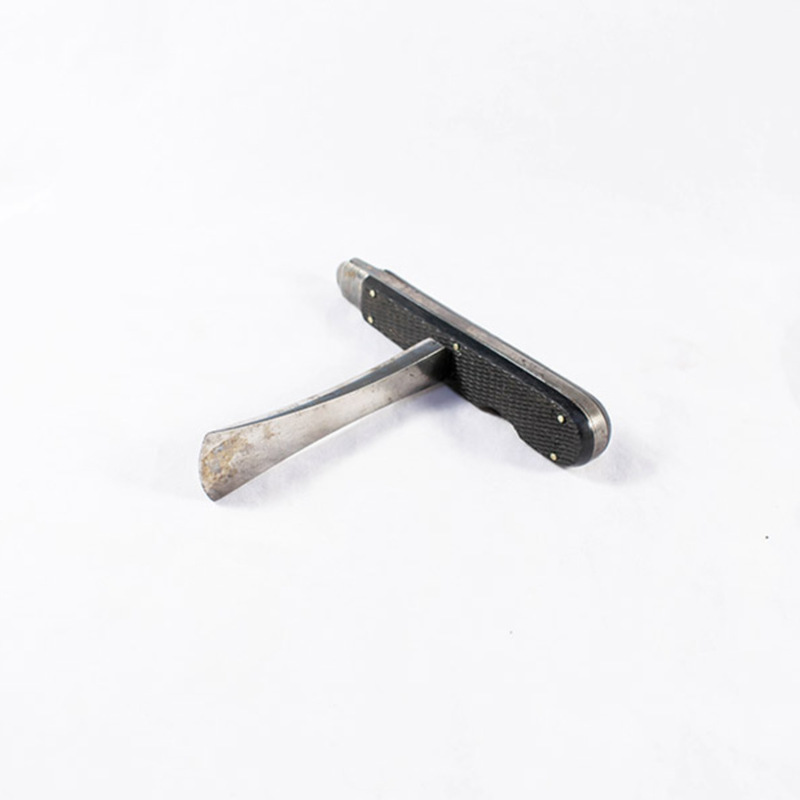 Has a short, 1.5cm long steel end-piece, 0.7cm by 0.7cm in section, which fits a corresponding pierced recess in the middle of the ebony/steel handle of the set. 2.2cm in width, 9.8cm in length. 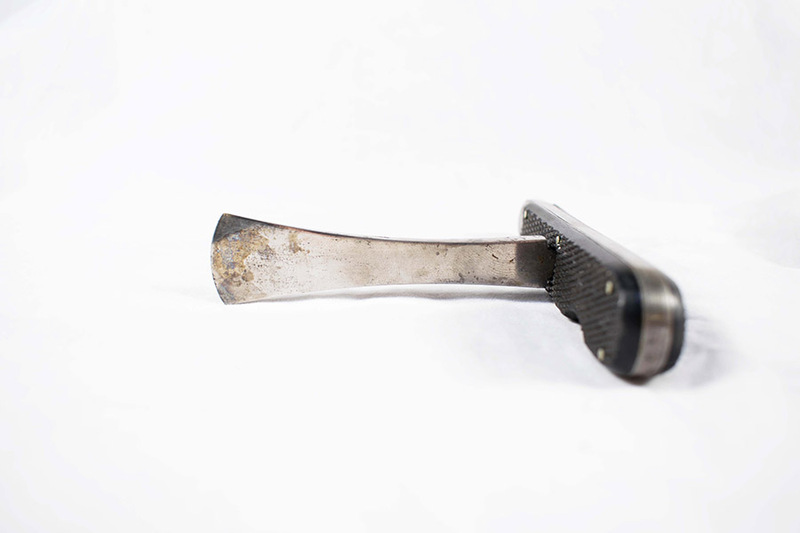 “Bone Chisel,” Heritage, accessed April 20, 2019, https://heritage.rcpsg.ac.uk/items/show/316. Description: Steel item with slightly splayed, rounded cutting edge. 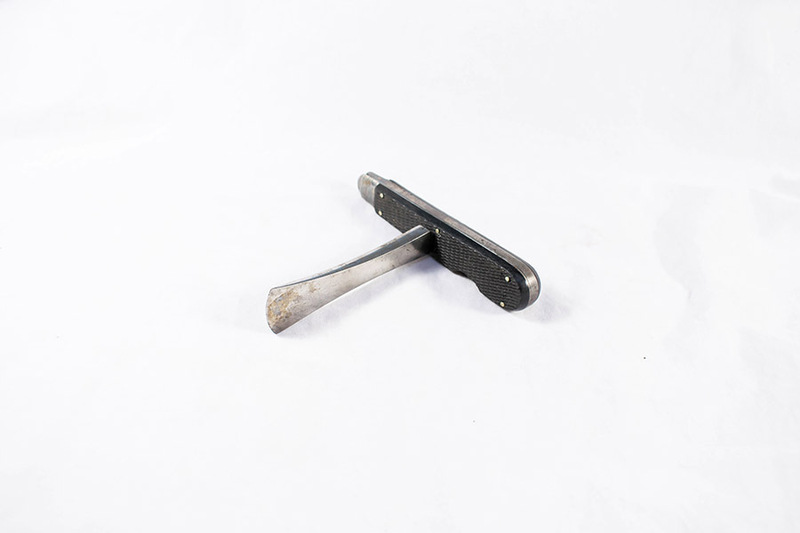 Has a short, 1.5cm long steel end-piece, 0.7cm by 0.7cm in section, which fits a corresponding pierced recess in the middle of the ebony/steel handle of the set.